Feel warm and tingly inside next time you enjoy a cup of coffee! 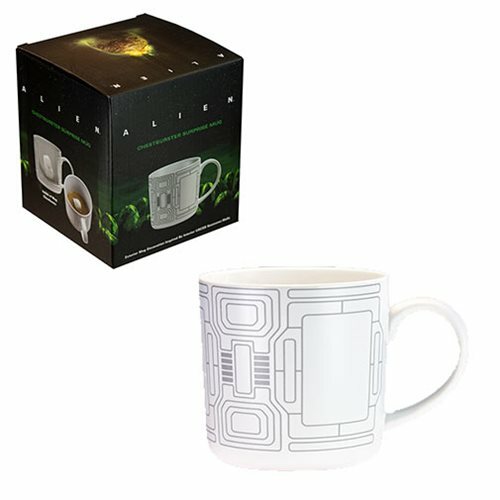 This Alien Chestburster Surprise Mug holds approximately 15 fluid ounces and measures approximately 4-inches wide x 4-inches tall. Microwave safe, but handwash recommended.